Iranian American Community Corruption to the Roots! Hezbollah comes in all shapes and forms – Allah is Wise! Some have heavy beard and mustache and wear robes and beanie hats! Some have lovely smiles, are so sweet and wear miniskirts! Hezbollah in Disguise and you can see it in his beady eyes! Hezbollah does not have to look like an Islamist with heavy beard, mustache and turban! Hezbollah could wear a dress, be sweet and look like a mousy librarian! Hollywood, Media, Democrats, GOP RINOs, Academia, Giant Techs, Social Media and Internationalist Globalist Corporations are Enemies of the American People and Iranian People. Loved it guys, in depth investigation, letters and elaborated detail and writing. It’s time for San Diego and San Diegan Iranian American Community to wake up and see that they are drowning in swamp and being controlled by IRI and IRI Lobby. Their Iranian school, their markets, their restaurants, their university clubs, their businesses, their centers, their foundations and whole Iranian American Community is run by IRI and IRI Lobby. How did all of a sudden NIAC and PAAIA got so strong in San Diego? Ahreeman is correct, if San Diego is so infected with IRI Lobby, then figure how bad the situation is in LA, Orange County and San Francisco! LA is loaded with IRI Lobby and IRI Agents. Cat, I loved the letters. I just want to make something clear for you. I am a National Populist. I am Anti Establishment. I am Anti Iranian Islamic Establishment in Tehran and I am Anti American Corrupt Establishment in Washington DC. I despise The Liberal Democrat Establishment and I even hate the GOP Establishment more. The GOP Establishment is far more dangerous than Democrats because we know that Democrats are the enemy but the GOP Establishment poses as friends, which in reality they are Corporate Globalist Republicans. The GOP before Trump was not a Conservative Party but it was a Corporate Globalist Republican Party. As Trump disrupted everything else in Washington DC, he also disrupted the GOP. Do you recall what Trump stated at the beginning of his presidency? Trumps agenda is to clean the Swamp. Primarily GOP Establishment, then DC Establishment and the rest. Why is it that everyone in DC is against Trump but the average American People love Trump? That right there should tell you that something is not right and Kosher in DC! I have been with Trump since the beginning. I will be with Trump until the end. I will fight with him to clean the system. I will stand by him until the bitter end. Trump is a spark of hope for this corrupt Washington DC Swamp which runs America. We need to cleanup America and give the power back to the American People. If the establishment doesn’t want to leave power, we will force them to leave! 2016 was not just another election but it was the “2016 Revolution of Trump and the American People”. After 3 decades, the American people have regained the control of their country. Just because the Establishment doesn’t want to give up the power, the people will not pack up and leave! The People will fight to the bitter end and in the streets of America to clean up the Swamp. Screw the Democrats and Republicans both! I am with the American People and that is why I am with Trump. Well written and clear cut. It will explode on Internet Everywhere! Iranian Americans must ask themselves, which side are they on? Are you on the side of Iranian People and American People? Are you on the side of the IRI Establishment and Washington DC Establishment? Iran Lobby Organizations, Media and Personalities information is updated. IRI Lobby is enemy of Iranian Opposition, Student Movement, Democratic Movement and Iranian People. For Iran and Iranians, the IRI Lobby criminals and traitors must be exposed and destroyed. This article confirms that the first Muslim-American President is Barack Hussein Obama II. He is the son of a Kenyan-African father and Caucasian-American mother and was born from a family history of Muslims. A Muslim by birth, Obama was indoctrinated in the Qur'an at a young age, and has consistently exhibited an affinity for Islam and the Muslim people. Of course, the U.S. Media will not reveal the upbringing of Obama. He never supported the Iranian people in their fight for freedom as indicated in the article. This threat was in reference to a YouTube video as having stimulated the attack in Benghazi. It was Obama’s attempt to blame the terror attack on a distasteful video that initiated a spontaneous reaction rather than admit it was a preplanned attack by Islamic terrorists. Obama’s response reflects the years of Islamic indoctrination that does not leave the inculcated mind even though he had the benefits of an education received at such American universities as Harvard and Columbia. As one carefully reads the above threat, one deduces that these are the words of a powerful Muslim leader - not the President of the United States. Obama-Iran Nuclear Deal: What is astounding is that President Obama’s indoctrination in the Qur’an causes him to truly believe, “Islam is not part of the problem in combating violent extremism - it is an important part of promoting peace.” It is not surprising that today Americans are convinced President Obama is not only the first Muslim-American to hold office but has been an exceptionally weak president in protecting American interests abroad and at home. He facilitated the Obama-Iran Nuclear Deal that gave Iran 150 billion dollars. This deal infuses Iran’s economy and continued development of a nuclear bomb. It was a naïve strategy to control Iran’s nuclear-missile capability. What is insane, is that Obama pushed for this foolish nuclear deal even as Iran’s leader and thousands of Muslims were chanting death to America, the British and Israel!! The conclusion is evident; Barack Hussein Obama II is the first Muslim-American President that truly believes in Islam and has an affinity for the Muslim people. That is why today, he supports large-scale immigration of Muslims even if it may destroy the values and culture of America, as it already has in European countries. Marzieh Hashemi, an anchorwoman on Iranian state television, has been arrested by the FBI during a visit to the U.S., the broadcaster reported Wednesday. NIAC is not Non-profit because it is financed by Tehran. NIAC is not Non-Sectarian because it supports IRI an Islamist Regime. NIAC is not Non-Partisan because they only support Democrats to appease Iran. NIAC is not Non-Political because the only thing they do is to lobby for IRI in USA. “says it is "concerned by reports of [Hashemi's] mistreatment and reiterates that all nations must observe international law with regard to such detentions." NIAC should be concerned about thousands of political prisoners in Iran. NIAC should be concerned about tens of thousands of executed Iranian Opposition members. "Ms. Hashemi’s status as a journalist for an Iranian outlet cannot prevent her from access to the same legal rights afforded to every U.S. person,"
How about her status as a Terrorist? When did Jamal Abdi become NIAC president? Every month NIAC rotates its board members and presidents to lose track! Now Jamal Abdi, boy toy of Trita Parsi is the president! Trita Parsi, what a weasel! Of Course, Namazi Family are not innocent Iranian Americans arrested in Iran! NIAC is talking about Namazi Oil Mafia Family incarcerated in Iran. IRI Fundamentalist Hezbollah arrested and jailed the IRI Reformist Hezbollah! Iran Lobby Groups in USA, UK and abroad are often pro “Reformist Fraction” and “Moderate Fraction” of IRI. They are backed by Multi-Million Dollar Iranian Oil Mafia and these two fractions; therefore, we refer to them as Hezbollah. So, it does not matter which fraction of IRI they belong to or if they are IRI employees in Iran or Iran Lobby Groups abroad, we refer to all of them as Hezbollah. "Such practices are inhumane, illegal, and often in the service of agendas that seek to preserve U.S.-Iran hostility. It is absolutely critical that the U.S. government not follow suit and instead observe the core values of freedom of speech and freedom of the press." Did you care about freedom of speech when you sued Hassan Daioleslam? Where she trained to become a full blown IRI Propagandist and Iranian Hezbollah Terrorist! You count your chickens at the end of the autumn! Meaning, let’s wait until the end of the trial to see what FBI has on this Black American Bimbo convert to Islam who ran to Iran to sell her country and become a full blown IRI Propagandist in English Language Press TV of IRIB Propaganda Machine! Let’s wait until the end of the trial to see what had this Muslim Bimbo done in US before she left to Iran and what she had done in Iran when she was there! So, the Muslim Bimbo came here to cover Black Lives Matter Terrorist Group (funded by George Soros) protests and she got arrested by FBI! They were waiting for her to show up in USA! Go figure …. There is much more to the story than what you hear from Fake News American Media Lies! Areh baba, unless there’s something to the story, people won’t make rumors! There’s something to the rumors or else arrest doesn’t happen, I agree. BB O BB What’s a girl to Do? What’s the connection between Marzieh Hashemi and Iran Lobby in San Diego? Marzieh Hashemi connects to Press TV connects to Trita Parsi connects to Iran Lobby in San Diego. All of them connect to IRI 5th Column Espionage Force and the 5th Column connects to IRI and Mullahs of Tehran and Qom. San Diego is a bank for Iran Lobby and a Money Laundry Source. It is one large money laundry case. Patience is a virtue, soon or late the vail will be lifted. This is a lengthy investigation into IRI Affairs in America, their lobby, their espionage and their chain of terror. It is ongoing and it will be long. Public will be informed on an as needed basis. Marzieh Hashemi testified 2 times as a witness in an ongoing FBI Court Case involving IRI Activities in USA. Due to the ongoing investigation and chain trials, we cannot reveal the nature of the investigations and trials. Marzieh Hashemi was released from custody after snitching and testifying. She is back to Mother Hezbollah, Islamist Terrorist Regime of Iran. 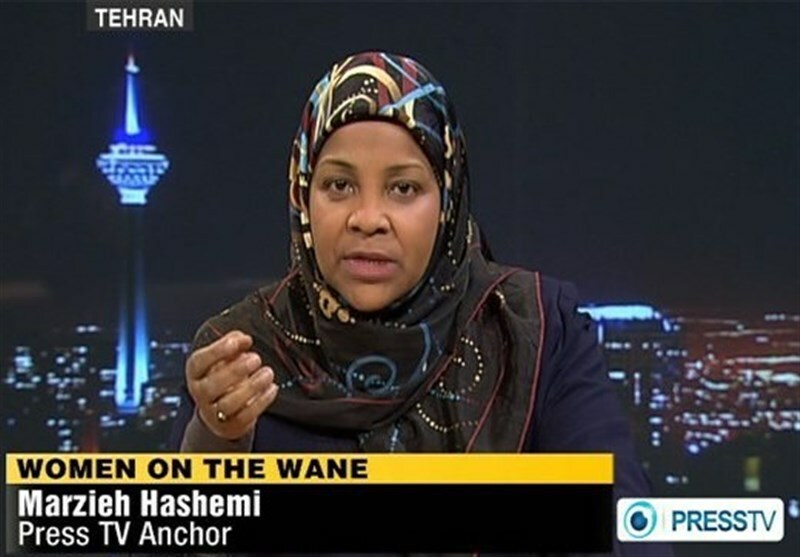 Iran Lobby in USA, Press TV and Hezbollah had put on a few cheesy show protests in DC in defense of Marzieh Hashemi. NIAC and PAAIA, also the rest of Iran Lobby Groups were involved in these propaganda tactics online and offline to free Marzieh Hashemi. Marzieh like a good snitch was cooperative and was rewarded by FBI for early release. The ongoing investigations and court cases will move on. The ongoing investigations into Iran Lobby Activities will also move on. Marzieh Hashemi arrives in Tehran, Iranian broadcaster Press TV says, after being held for 10 days in Washington, DC. A prominent American-born anchor on Iranian state television has arrived back in Iran after being held in the United States for 10 days. Marzieh Hashemi, 59, arrived in Tehran on Wednesday, according to state-run English-language channel Press TV. She was held as a material witness and testified in an undisclosed federal investigation, a US federal court order said last week when she was released. 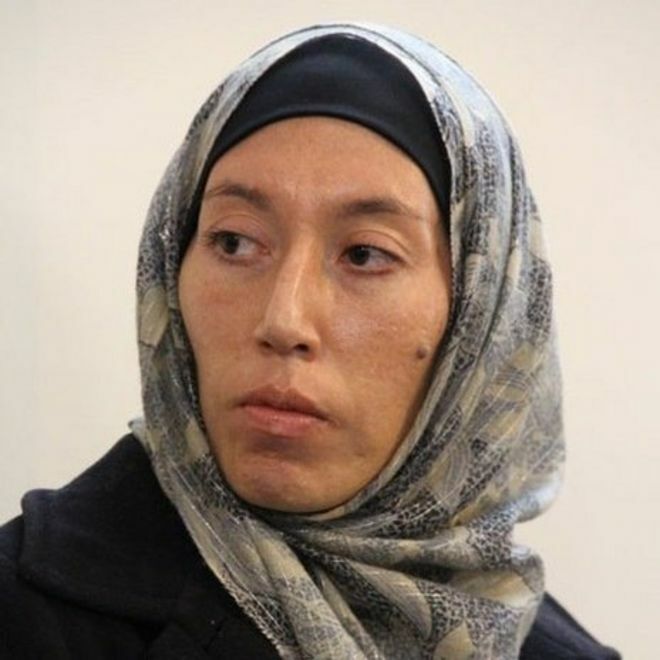 Hashemi, a US citizen, was welcomed by her colleagues in a special ceremony upon her arrival at Imam Khomeini International Airport, according to the report. Hashemi, who works for the Press TV network's English-language service, was arrested by federal agents on January 13 in St Louis, Missouri, where she had filmed a Black Lives Matter documentary after visiting relatives in the New Orleans area, her son said. She was then transported to Washington, DC where she had remained behind bars until January 24. Hashemi had appeared in court at least twice before a US district judge in Washington, DC and court papers said she would be released immediately after her testimony before a grand jury. Court documents did not include details on the criminal case in which she was named a witness. 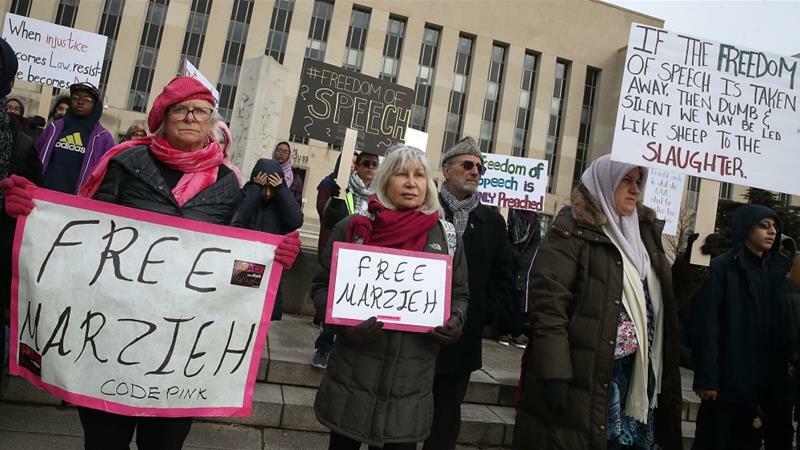 The journalist's detention came amid heightened tensions between Iran and the US after President Donald Trump withdrew from a nuclear deal. Iran also faces increasing criticism of its own arrests of dual citizens and other people with Western ties. 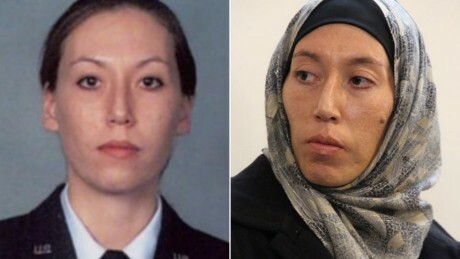 Monica Witt (pictured) allegedly underwent an "ideological" shift before defecting to Iran. Four Iranian citizens have also been charged with attempting to install spy software on computers belonging to Ms Witt's colleagues. The US Department of Treasury has also sanctioned two Iranian companies - New Horizon Organization and Net Peygard Samavat Company - for their role in the plot. "It is a sad day for America when one of its citizens betrays our country, said Assistant Attorney General John Demers, the head of the justice department's national security division. According to officials, she sent a message to her Iranian contact in 2012 saying: "I loved the work, and I am endeavouring to put the training I received to good use instead of evil. Thanks for giving me the opportunity." The conferences often included an "anti-Western" sentiment and "propagate anti-Semitism and conspiracy theories including Holocaust denial". The Department of Treasury accuses Net Peygard Samavat Company of being "involved in a malicious cyber campaign to gain access to and implant malware on the computer systems of current and former counterintelligence agents". What's the state of US-Iran relations? Diplomats are expected to discuss Iran during a US-led two day summit on "peace and security" that began on Wednesday in Warsaw. On the conference's opening day, Mr Trump's personal lawyer Rudy Giuliani gave a speech in which he called for regime change in Iran. Monica Witt: Who is the woman at the centre of the spying case? But who is Monica Witt? Details of her upbringing are unclear, but a previously issued FBI missing persons poster says that she was born on 8 April 1979 in El Paso, Texas. 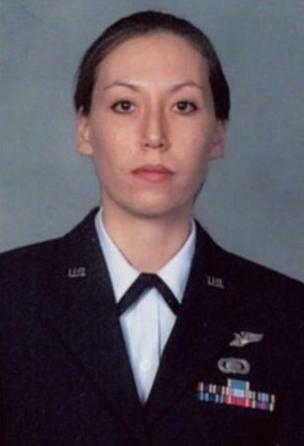 According a curriculum vitae posted on jobs website Indeed, Ms Witt joined the Air Force in December 1997. Stationed at Offutt Air Force Base, she worked as a Persian-Farsi language specialist. She later served as a Special Agent at the Air Force's Office of Special Investigations (AFOSI) from November 2003, based at Andrews Air Force Base in Maryland. On its website, the AFOSI says its mission is to "identify, exploit and neutralize criminal, terrorist and intelligence threats to the Air Force, Department of Defense and U.S. Government". According to the indictment, Ms Witt was privy to classified information that could identify US intelligence officers and their sources. A spokesperson for the US Air Force told the BBC she was discharged in June 2008 with the rank of Technical Sergeant. She received numerous decorations including the Air Medal, awarded for "single acts of heroism or meritorious achievements". 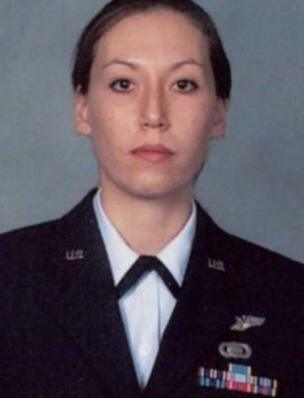 Ms Witt left the US military in May 2008. For the next seven months, she worked as a contractor with Booz Allen Hamilton in Maryland, consulting on "Iranian subject matter" and providing "language and cultural specialisation". From November 2008 to August 2010, she worked as a Middle East Desk Officer at another contractor, Chenega Federal Systems, in Virginia. During this role Ms Witt says she "supervised, controlled, and co-ordinated the execution of highly sensitive counterintelligence operations against foreign intelligence services worldwide". Later, from December 2010 to May 2011, Ms Witt worked in Washington with Amidest. During her time with the non-profit group, she "submitted applications for 60 Iraqi Fulbright candidates to multiple US universities". According to her CV, she holds a bachelor's degree from the University of Maryland, a master's from George Washington University, and a qualification in Persian-Farsi from the Defense Language Institute. George Washington University's International Affairs Review published two articles by Ms Witt in 2012. In one, she criticised the US for calling on Iran's neighbours to sever relations with Tehran. "In enacting a policy of severe sanctions against Iran, the US should address the potential affects (sic) on other countries and not inadvertently alienate friends by making them choose between Iran and the US" wrote Ms Witt. According to her online CV, she lived and worked within countries including Iraq, Qatar, Jordan, Turkey, the UAE, Tajikistan and Iran. After this, details of her activities and whereabouts are unclear. 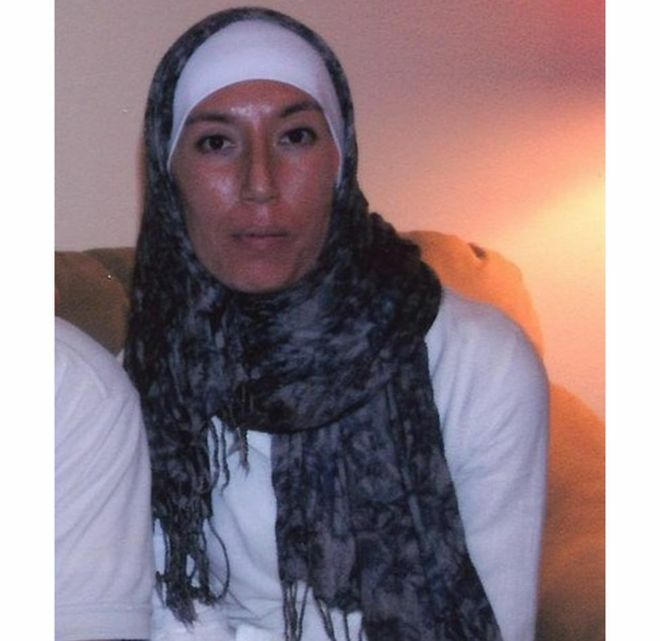 In an undated missing persons declaration the FBI says MS Witt worked as an English teacher in either Afghanistan or Tajikistan and had been out of contact since 2013. According to her indictment, in early 2012 Ms Witt converted to Islam during a ceremony broadcast on Iranian television. In several other television appearances, she allegedly identified herself as a US veteran and made statements critical of the US government. State-run Press TV also published an article by Ms Witt, in which she attacked "a prevailing culture of tolerance for sexual harassment" within the US armed forces. In February 2012, Ms Witt allegedly went to a "Hollywoodism" conference in Iran organised by the New Horizon Organization. The Justice Department says the event seeks to promote "anti-American propaganda". A few months later, the FBI warned her that she was targeted for recruitment by Iranian intelligence services. The following year, Ms Witt was quoted in an article by the International Quran News Agency where she discussed her conversion to Islam and American "injustice to its Muslim population". "As someone who served in the US army for years, I expected that after embracing Islam, my right to choose a religion and my beliefs would be respected," she said. "However, a US army member becoming Muslim was not something they could stand. They are afraid of such individuals." In summer 2013, Ms Witt had an "ideological" turn, the indictment says, and tried defecting to Iran through its embassy in Kabul. She later moved Iran and allegedly disclosed highly classified information to Iranian officials. The information included details of her former colleagues and their informants. 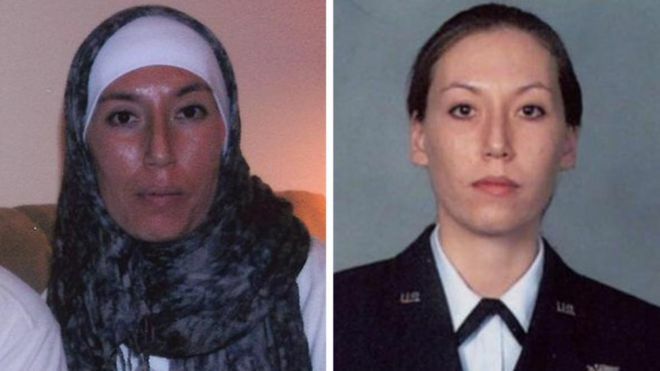 According to a new indictment, Monica Elfriede Witt, an ex-counterintelligence agent who defected to Iran in 2013, is responsible for helping to target 'her former fellow agents' and expose a program that is considered one of the 'crown jewels' of the U.S. Defense Department. Witt is still at large but was last believed to be in either Afghanistan or Tajikistan in July 2013 working as an English teacher. An arrest warrant is now out for Monica Elfriede Witt, the 39-year-old former agent named in the grand jury indictment. The Justice Department says the Iranian government supplied her with housing and computer equipment so she could “disclose U.S. classified information” and conduct research on “personnel that she had known and worked with” during her time in the American intelligence community. Witt, who is from Texas, entered duty with the U.S. Air Force in 1997 and worked as an Air Force Intelligence Specialist and Special Agent of the Air Force Office of Special Investigations. She separated from the military in 2008 and ended work as a Defense Department contractor in 2010. During her time working with the U.S. government, Witt, the Justice Department says, was “granted high-level security clearances and was deployed overseas to conduct classified counterintelligence missions.” She earned the Air Force Commendation Medal three times, an award the branch says is for those who have "distinguished themselves by meritorious achievement and service." But the indictment alleges that in February 2012, Witt traveled to Iran to attend a conference sponsored by the regime-linked Revolutionary Guard Corps focusing on topics such as the condemnation of American moral standards and anti-U.S. propaganda. She then, investigators say, got in contact with a dual U.S.-Iranian citizen and brokered her future long-term stay in the Islamic Republic. Her whereabouts as of Wednesday are not clear. 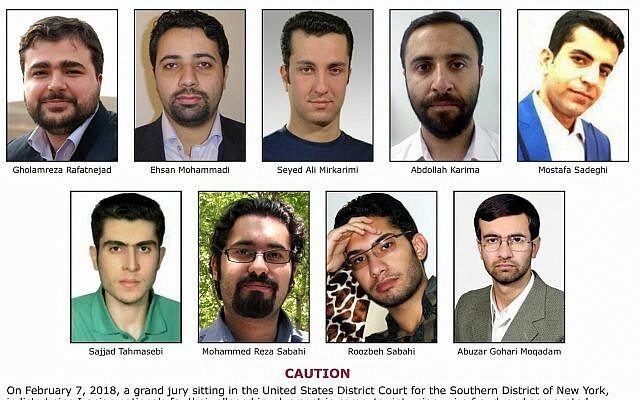 The indictment also charges four Iranian nationals: Mojtaba Masoumpour, Behzad Mesri, Hossein Parvar and Mohamad Paryar with conspiracy and attempts to commit computer intrusion and aggravated identity theft “for conduct in 2014 and 2015 targeting former co-workers and colleagues of Witt in the U.S. Intelligence Community,” the Justice Department says. Arrest warrants also are out for them. 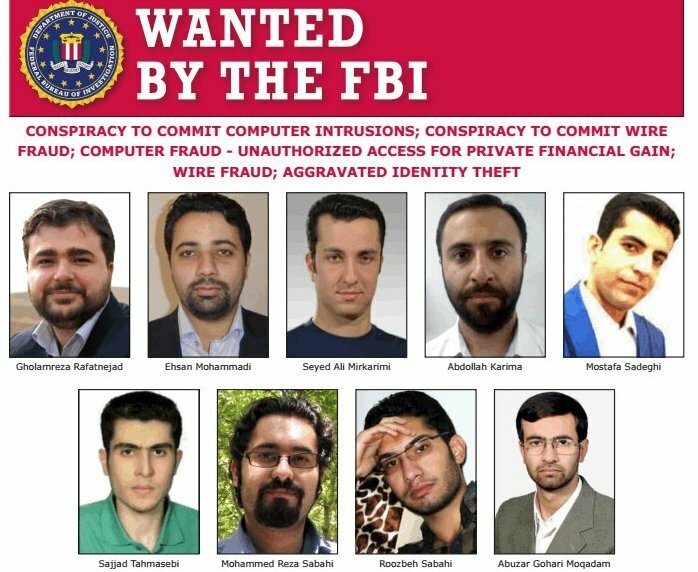 American investigators allege the Iranians used “fictional and imposter social media accounts” aimed at deploying malware that would give them cover access to their targets’ computers and networks. The accounts tried to trick victims into clicking on links or opening up files that would then allow the Iranians to infect their computers. 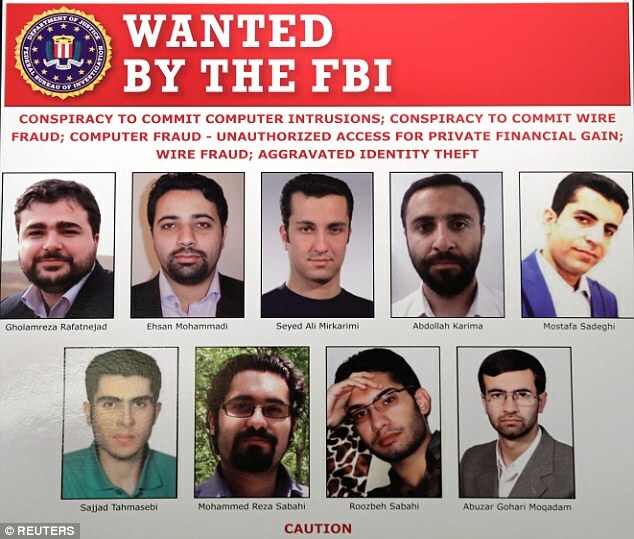 “In one such instance, the Cyber Conspirators,” as the four Iranians are called, “created a Facebook account that purported to belong to a [intelligence community] employee and former colleague of Witt, and which utilized legitimate information and photos from the USIC employee’s actual Facebook account,” the Justice Department said. “This particular fake account caused several of Witt’s former colleagues to accept ‘friend’ requests,” it added. FBI officials say Witt's primary motive was ideological, and the indictment also alleges that when Witt defected to Iran she said she was "going home." The Justice Department said Wednesday that it took years of investigative work by the FBI to expose what they believe she really was up to. “This case underscores the dangers to our intelligence professionals and the lengths our adversaries will go to identify them, expose them, target them, and, in a few rare cases, ultimately turn them against the nation they swore to protect,” Assistant Attorney General for National Security John Demers said following the unsealing of the indictment. A Missing Persons entry that had been up on the FBI’s website said Witt “was last believed to be in either Afghanistan or Tajikistan in July 2013, where she was working as an English teacher. “Witt may have also traveled to the United Arab Emirates or Iran, where she had previously traveled on at least two other occasions,” the entry adds, noting her friends reported her missing years ago after not hearing from her in months. They receive many sources of funds and it is a network of deceit and lies commit to money laundry for IRI Lobby. San Diego of course is an important source of money, funds and white wash for IRI Lobby. Why it took you 30 years to expose these scum and spies? Why didn’t you do it earlier? I’m not asking why you didn’t do it 30 years ago but I’m asking why not sooner? Super document with evidence, details and connections. Good work and good investigative journalism. It is about quality not quantity. What good would it be if Ahreeman wrote an incomplete baseless expose decade ago? Investigative journalism is about research, information, names, dated, documents, sources, evidence and exposure. Fruit must get ripe before you pick it. This piece is a complete expose with full evidence. No one can deny it or rebuttal it. It’s all in the document. This is how it’s done. The problem is clear. IRI Lobby don’t have lack of education, smarts, knowledge, logic or culture. They have lack of morality. Actually, in most cases, they have no morality. Iranians in general have lack of morality. This problem formed with entrance of Islam to Iranian culture. Ahreeman talked about this issue in IPC, in our class and to me. The complete problem is lack of morality in the Iranian community. Persian Cultural Center of San Diego AKA PCC and all of their business members have lack of morality. The only factor which they care about is money. For proper amount of money, every inch of decency and morality goes out the door. They will trade their own blood for money. Everything is for sell even human dignity and humanity. These people are the pillars of the Iranian community in San Diego and distinguished businessmen and women. The truth of the matter is that they are lower forms of life closer to insects or better put amoebas (amibus). They are amoebas (amibus), the lowest lifeform on earth. These people are single cell lifeforms, they are fungi and fungus. They have no human value. The only reason they are relevant is the money they own and without it, they are nothing. Actually, they are nothing now because without their businesses, they are dirt. Their whole purpose in life is to make money but can they take it to grave? They low down to every dirty trick and sell their soul to Mullahs for money. So, the problem is morality or better said lack of it. It is a sad day today when the Iranian Community Leaders have no standard, dignity and morality. This is what it all came down to. Sad, sad day for sure. Ahreeman puts it best for everyone to recognize. Huawei financed Canicula’s purchase of Skycom, lending Canicula about €14 million. An investigation by HSBC into Huawei Technologies found that the Chinese smartphone maker maintained close financial ties to a front company in Iran years after purportedly selling it, documents show. The HSBC investigation was in late 2016 and 2017 as the bank was trying to get the US Department of Justice to dismiss criminal charges for its own misconduct involving sanctions. 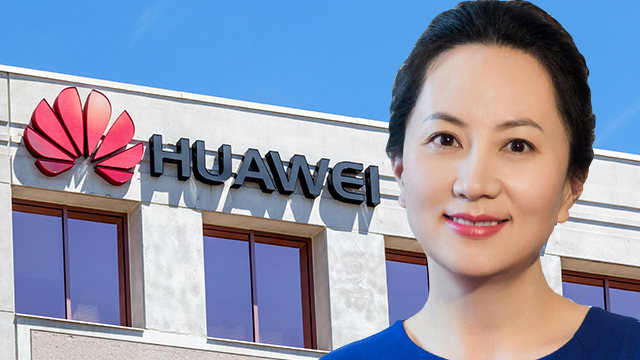 The bank’s findings were presented in 2017 to the department, which used them to help bring its current criminal case against Huawei’s chief financial officer, Meng Wanzhou. Ms. Meng is accused of conspiring to defraud HSBC and other banks by misrepresenting Huawei’s relationship with the suspected front company, Skycom Tech. Huawei has said Skycom was a local business partner in Iran but the US maintains it was an unofficial subsidiary used to conceal Huawei’s Iran business. 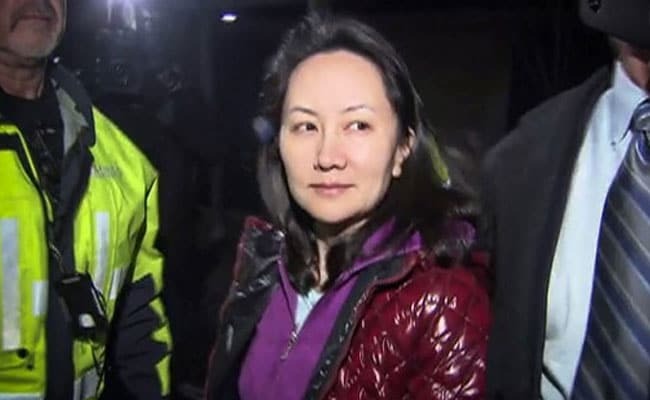 Huawei and Skycom are also defendants in the US case, accused of bank and wire fraud, and breaching US sanctions on Iran. US authorities claim Huawei used Skycom to obtain embargoed US goods and technology in Iran and to move money out of the country through the international banking system. They say that as a result of Huawei’s deception, HSBC and other banks cleared more than $100 million of transactions related to Skycom through the US that could have breached economic sanctions Washington had in place at the time against Iran. Huawei has denied the charges in the case. “Information provided by HSBC to the Justice Department was provided pursuant to formal demand, including grand jury subpoena or other obligation to provide information pursuant to a deferred prosecution agreement or similar legal obligation," said Robert Sherman, a spokesman for HSBC. 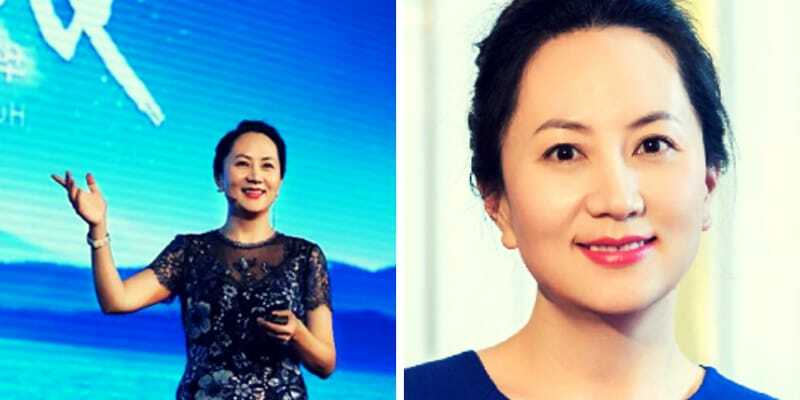 Ms. Meng, the daughter of Huawei’s founder, was arrested in Vancouver in December. She remains free on bail while the US government tries to have her extradited to face bank and wire fraud charges. 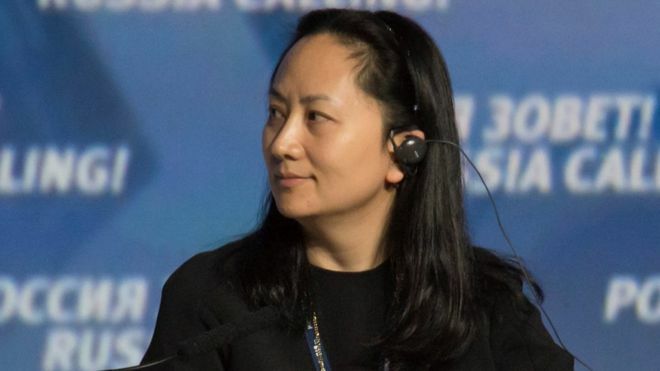 The case comes at a time of heightened trade tension between Washington and Beijing, and amid concerns by the US that Huawei’s equipment could be used for Chinese espionage. The company, based in Shenzhen, is the world’s largest maker of telecoms networking equipment and has repeatedly denied such claims. Ms. Meng has maintained that she is innocent of the allegations against her. The HSBC documents contain new financial details about Huawei’s relationship with Skycom and Canicula Holdings, the company to which Huawei claims it sold Skycom in 2007. All three companies previously had bank accounts at HSBC. The Skycom and Canicula accounts part of what the bank internally called the “Huawei Mastergroup". The HSBC investigation found many ties between the three companies, suggesting Huawei controlled Skycom and Canicula long after the purported sale, the documents show. Canicula’s address was care of Huawei Technologies. The inquiry also found that Huawei financed Canicula’s purchase of Skycom, lending Canicula about €14m (Dh58.52m) in a deal the documents show was not closed until December 2009. Canicula repaid Huawei a year later using funds from Skycom. After HSBC asked Huawei in 2013 to close the Skycom and Canicula accounts, Huawei employees assisted the bank. At Huawei’s request, the remaining funds in the Skycom account were transferred to a Huawei bank account, the documents show. In 2012 and 2013 it was reported that Skycom had offered to sell at least €1.3m worth of embargoed Hewlett-Packard computer equipment to Iran’s largest mobile phone operator in 2010. Ms. Meng served on Skycom’s board of directors between February 2008 and April 2009. The reports, by Reuters, are quoted in the HSBC documents and the indictment. 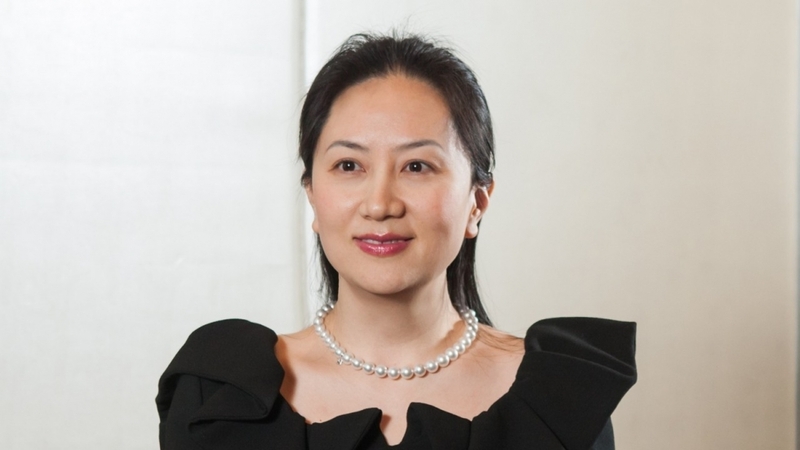 The indictment claims that banks in part relied on Huawei’s false statements in news stories – that it had not breached sanctions on Iran and that Skycom was a local partner – to continue doing business with Huawei and Skycom. HSBC had its own sanctions problems. In 2012, it paid $1.92 billion and entered a five-year deferred prosecution agreement with the Justice Department for disregarding rules designed to prevent money laundering and processing transactions that breached sanctions. Under the deal, HSBC agreed to strengthen its sanctions and anti-money laundering programmes and to co-operate with the Justice Department in any investigations. The HSBC documents showed investigators conducted more than 100 interviews, reviewed more than 292,000 emails and analysed years of financial transactions. At least four presentations were made to the Justice Department between February and July 2017. The criminal charges against the bank were dismissed in December 2017. The bank’s Huawei investigation found that in August 2013, at Huawei’s request, HSBC’s then deputy head of global banking for the Asia-Pacific region, Alan Thomas, met Ms. Meng. 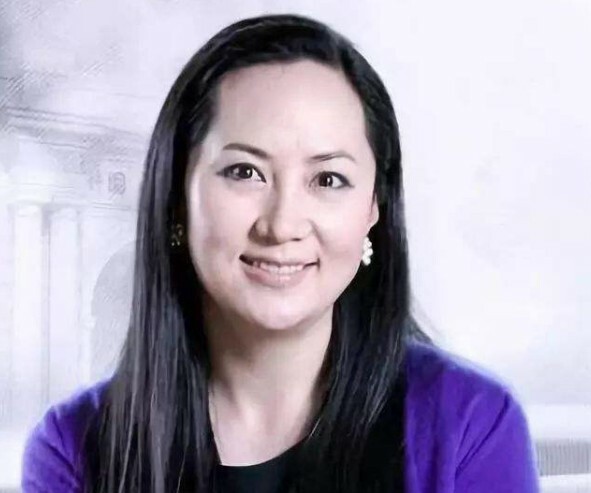 The documents show she later provided Mr. Thomas with a PowerPoint presentation in English that stated Huawei had sold its shares in Skycom and that she was no longer on its board. The presentation described Skycom as a Huawei “business partner” in Iran. That presentation, which the US claims contained “numerous misrepresentations”, plays a central role in the US case against Ms. Meng. Mr. Thomas, who retired in 2017, declined to comment. In the months after the meeting with Ms. Meng, HSBC considered whether to retain Huawei as a customer, the documents show. The bank initially concluded the reputational risks were acceptable and kept on Huawei. But the indictment said HSBC told Huawei about 2017 that it was terminating the relationship. The HSBC investigation also uncovered financial transactions by Canicula that referred to Syria or involved a Syrian bank. It was reported last month that until 2017 Canicula operated in Syria, where it was connected to Huawei. Like Iran, Syria has been subjected to US sanctions. HSBC told the Justice Department that it was aware of another company linked to Skycom in Iran. In August 2016, the bank's documents say, it was notified by a British engineering recruitment company, Matchtech Group, that a Matchtech subsidiary had provided contractors to support telecommunications projects in Iran from 2010 to 2016. The subsidiary, Networkers International, had contracted with Skycom and Huawei, and had received payments in US dollars from Skycom, according to the HSBC documents. The payments totalled about $7.6m. Networkers terminated its Iran-related contract with Skycom in October 2016, Matchtech told HSBC. Matchtech is now known as Gattaca. A spokesman for Gattaca declined to comment. 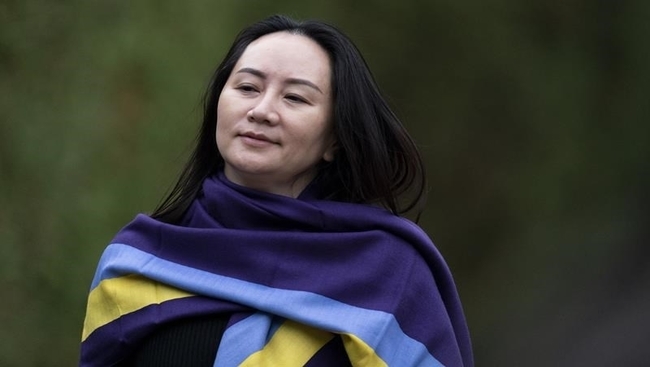 Canada has said it will allow the US extradition case against Huawei's chief executive to move forward, but the court must make a final decision. Ms. Meng was arrested in Canada in December at the request of the US. China said the case against Ms. Meng was an "abuse of the bilateral extradition treaty" between Canada and the US. 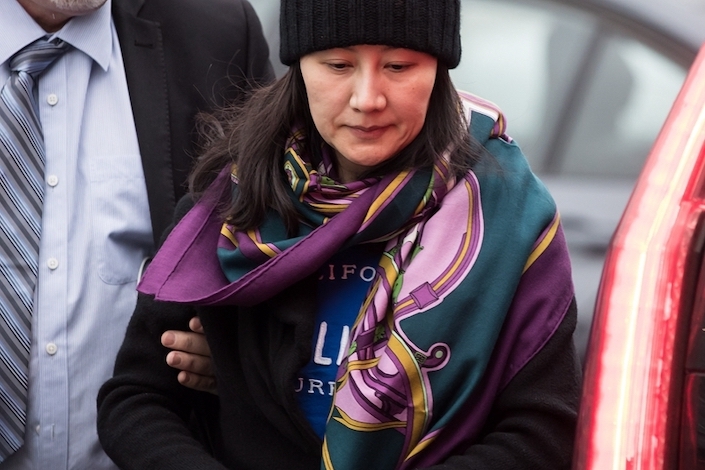 US authorities filed almost two dozen charges against Huawei, the world's second largest smartphone maker, and Ms. Meng in January, along with a formal request for her extradition. The charges include bank fraud, obstruction of justice and theft of technology. Huawei and Ms. Meng have both denied all the allegations. 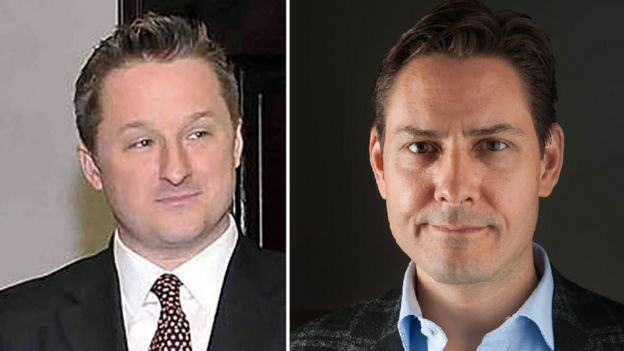 Michael Spavor (L) and Michael Kovrig have been put under "compulsory measures"
Ms. Meng's arrest infuriated Chinese officials, who insist that she has not violated any laws, and led to a rise in diplomatic tensions between China and Canada. Two Canadians are believed to have been detained in retaliation for Ms. Meng's arrest. "An extradition hearing is not a trial, nor does it render a verdict of guilt or innocence," the justice department said in a statement on Friday, announcing it was authorising the extradition process in the case of Ms. Meng to proceed. In a statement, Ms. Meng's defence team said they were disappointed by the decision "in the face of the political nature of the US charges" and in the wake of comments made by the US president.